Kristin Skinner is an author, speaker, workshop teacher, and organization design leader. She is currently Head of Design Management at Capital One, leading the practice and team of Design Managers who coordinate the design organization’s efforts, guide cross-functional collaboration, and enable the design team to deliver outcomes with measurable impact. 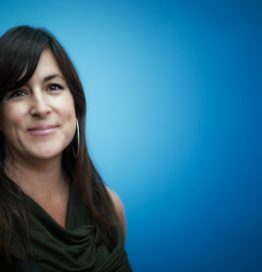 Kristin has extensive experience recruiting, hiring, and managing designers and design practice managers, and shaping design organizations and operations for optimal effectiveness, in both consulting and in-house contexts, and in companies of various sizes. Previously at Adaptive Path, Kristin was Managing Director where she established and lead the Design Management practice, guided sales and operations, co-led the portfolio, and scoped and co-led over 40 of the firm’s most strategic and complex projects and programs. Prior to Adaptive Path, Kristin shaped the Design Manager role for Entertainment and Devices at Microsoft’s Pioneer Studios. Kristin programs and co-hosts the LX Conference (formerly MX) and is a keynote speaker and frequent workshop teacher on organizational design and design management. Kristin is co-author of Org Design for Design Orgs: Building and Managing In-House Design Teams, the first book dedicated to the organization, management, and operations of in-house design teams. Keep up with Kristin at orgdesignfordesignorgs.com, adaptivepath.com, or @bettay.